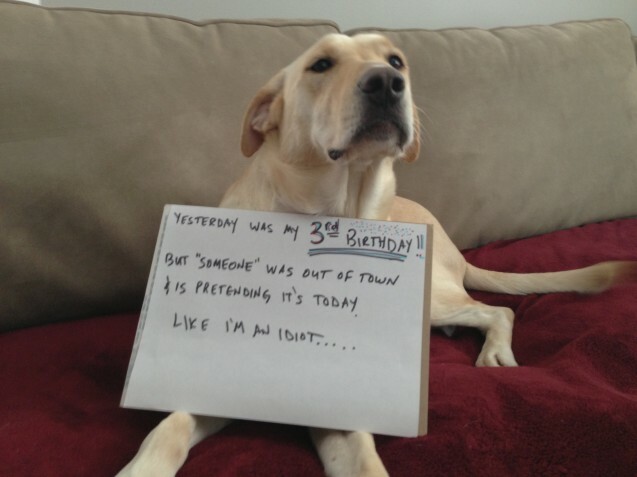 Sadie decided to reverse dog shame her owner for being out of town on Sadie’s 3rd birthday. In his defense, it was a business trip. LOL, Sadie is one smart cookie! It’s a Dog’s Life! LOVE LOVE LOVE this!!! She does look indignant indeed. She’s no idiot!!! SHAME ON THEM FOR FORGETTING YOU BDAY!! YOU GORGEOUS THING!!! Hilarious! Very cute! Happy belated Birthday! 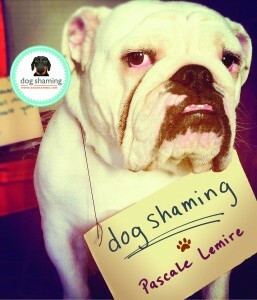 This is MUCH better than dog shaming.. always disliked it.. responsible parents burden the blame.. good for you! That is funny. Sadie knows. Wow you don’t look a day over 2 !